We are a residential building company servicing areas from the Sunshine coast to country Queensland specialising in custom builds. Weiss Built homes is led by owner Brendan Weiss along with interior designer wife Michelle. Brendan has over 20 years’ experience in the construction industry and is still involved on every level during your build, from the start all the way through to handover. This unique partnership along with our excellent trade contractors set us apart from the crowd, you will notice our outstanding workmanship and a keen eye for detail honed from many years’ in the industry. Decades of Craftsmanship Luna Constructions is dedicated to bringing the best possible product and experience to your project. With over 30 years of combined experience in all aspects of construction including heritage homes, new builds, extensions, decks and patios, bathrooms, kitchens, general maintenance and commercial office fit-outs. Our knowledge and precise attention to detail ensures a quality end result. We offer a 7 year guarantee for all our workmanship. We believe that word of mouth keeps you in business and the best way to earn and keep a good name is the continuous development of quality, timely projects at a reasonable and competitive price. Building is our passion. Welcome to Accord Homes. As a trusted building and construction company on the Sunshine Coast, we have secured our success by offering start to finish building services and solutions. All design and construction will be completed in-house by a team renowned for impeccable craftsmanship, integrity and work ethic. We are a family owned company, so you will always receive personalised service and deal directly with the builder. Our expertise spans more than 20 years across a diverse range of building projects. We have been involved in the development of new estates, retirement village constructions, group housing enclaves, individual architect designed homes, unit block projects, spec home constructions, renovations and extensions (both large and small), office shop fit-outs and charity projects. You’ll love your experience with Accord Homes! Contact us today to get started. We are a family run building business working primarily in the residential area of construction. We have developed a great local reputation for quality work coupled with fantastic customer service. We are very good at communicating with our home owners about all aspects of the job from start to finish so you always know where you stand! We build all types of homes in many different construction methods. When you build with us you know you have a team who are experienced in all areas of construction and can tackle any project thrown at us. Sloping sites no problem. Slab on ground and split level slab on ground no problem. 2 or 3 storey homes no problem. Suspended slab design also no issue for us. We can build anything. Quality First Constructions is a family-run building company based on the Sunshine Coast, Queensland. We specialize in residential and commercial works including new homes, renovations, refurbishments, outdoor entertainment areas, shop & office fit-outs, & project management. Tyler Builders is registered as a commercial and residential (unlimited) builder and demolisher and is a member of the Master Builders Association of Victoria. 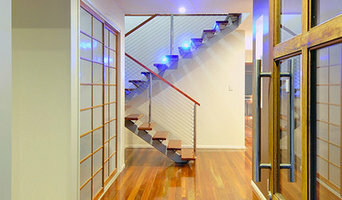 Initially building in Traralgon and throughout the Gippsland region, and now on the beautiful Sunshine Coast and Queensland surrounding areas, Tyler Builders offers services in design and construction of new homes, unit developments, office complexes, showrooms, and warehouses as well as commercial and residential fit-outs. Unlike many in the building trade who begin their careers straight after school, Tyler Builders managing director Ben Tyler completed a Bachelor of Applied Science before embarking on a career in the construction industry. Ben’s educational background translates into a terrific capacity for problem solving and he also sets himself apart from other builders in his ability to liaise with architects, engineers, carpenters, sub-trades and clients alike to achieve the best possible outcomes. At Nick Hayes Constructions we focus on high end custom homes and large scale renovations. We pride ourselves on building the highest quality homes, both in the construction process and through a quality selection of fixtures and finishes. Our customers are happy to tell others of their experience, which has led to a large referral based business. We ensure to go the ‘Extra mile.' Quality is not just the fixtures that are put into your home, but more importantly how your house is constructed. From the fixings used in the frame to the paint used on the walls, you will receive a premium product. We understand the importance and individuality of each project. Whether you are building your next home or looking for an unique architectural build, Nick Hayes Construction promises to deliver a home that will stand the test of time and make your building experience an enjoyable one. Roebuck Concepts is a bespoke building company producing designs and customized construction for clients - whether new build, full or partial renovation, extension, or just a new bathroom. The team at Roebuck concepts not only designs spaces to meet your particular needs, but schedules and manages the entire process from conception to completion. A home is much more than a roof over your head: it's a haven in which to live, dream and grow. By working closely with you Roebuck Concepts will turn the living spaces of your dreams into reality. With 20 years in the industry Roebuck Concepts will provide a seamless process, completed as quickly and painlessly as possible, with clients being updated throughout. The firm's motto is 'clever design, thoughtfully managed. Tom Roebuck, the manager, has extensive experience of processes and deep knowledge of building materials - new, up-cycled and reclaimed. With his advice you can add individual touches which will make your space special. 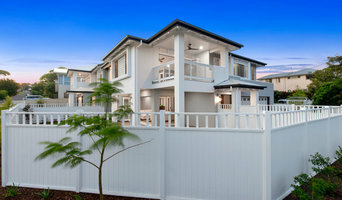 Seachange Builders is a small team of passionate and committed professionals. We have a hands on approach throughout the whole building process. We get to know our clients and our clients get to know us. We are flexible and innovative in our way of thinking. By carefully and individually managing our clients’ projects, we are able to offer a personalised and enjoyable building experience. Our relationship with our clients is built on integrity, honesty and open dialogue. We work closely with our clients to interpret their thoughts, needs and lifestyle. 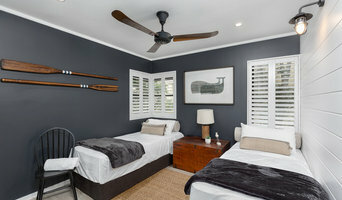 Your Asset Renovations, your Sunshine Coast building company specializing in renovations. 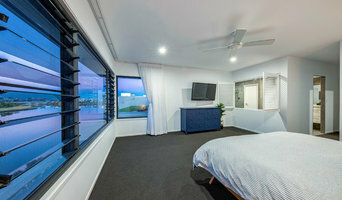 Ryan Designer Homes has been operating in Australia since 1999, developing an excellent reputation and a recipient of over 34 Housing Industry awards for building high quality, custom designed homes for people seeking professional services and attention to detail. Founded on strong commitment to the use of excellent construction, work practices, and unique materials ,our experienced team specialises in custom home building to meet each of our clients’ needs and lifestyle aims. Pat and Petrina are the family company's founders. Pat is a registered and very experienced builder who has managed projects in England, the USA, New Zealand and Australia. Pat is currently Chairman of the Sunshine Coast/Wide Bay Housing Industry Association committee and representiative of the Regional Executive committee. Petrina has worked along side Pat for 20 years . In 2012 she was awarded the Master Builders Sunshine coast Women in Building award and is currently serving on the Master Builders Committee for the Sunshine Coast. Ryan Designer Homes excel in delivering the personal touch. If you are looking for single storey or two storey Modern, Contemporary, Asian, Beach or Minimalistic style of home be sure to look at Ryan Designer Homes. Bespoke home design & construction company. Based in Noosa on the Sunshine Coast, we’ve been exceeding client expectations for over 40 years. 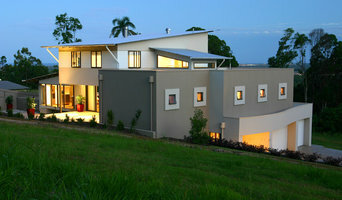 We create and build bespoke homes on the Sunshine Coast and in the Brisbane area. Contact us now on 07 5447 1699 to book a free consultation. Award winning, high quality rammed earth specialists with more than 25 years experience in rammed earth construction on the Sunshine Coast (Queensland) and nationally. We really care about the finished product - as our references and ongoing relationships with our clients attest. Whether you’re undergoing home renovations or building from scratch, hiring the right home builder is essential. Your choice will determine the quality of craftsmanship, as well as how high your stress levels rise! A home design or building project is a huge and multifaceted undertaking, so it’s important to find a local Sunshine Coast, Queensland builder you can trust to bring your vision to life and keep the process under control. The Houzz professional directory of home builders is a great starting point to choose the right builder for your needs. What exactly do Sunshine Coast, Queensland home builders do? Before any nails are hammered down, construction companies perform market research to determine whether the prospective site for a new home in Sunshine Coast, Queensland makes sense. They also survey the land to make sure it is suitable for construction, and obtain any necessary Queensland permits. Scroll through this page to find contractors in Sunshine Coast, Queensland. Then, click on a professional to browse photos of their latest projects and see how their work compares to the scope of your project. Read reviews to see how other homeowners rate their work, and message the home builder or construction company directly to ask any specific questions.